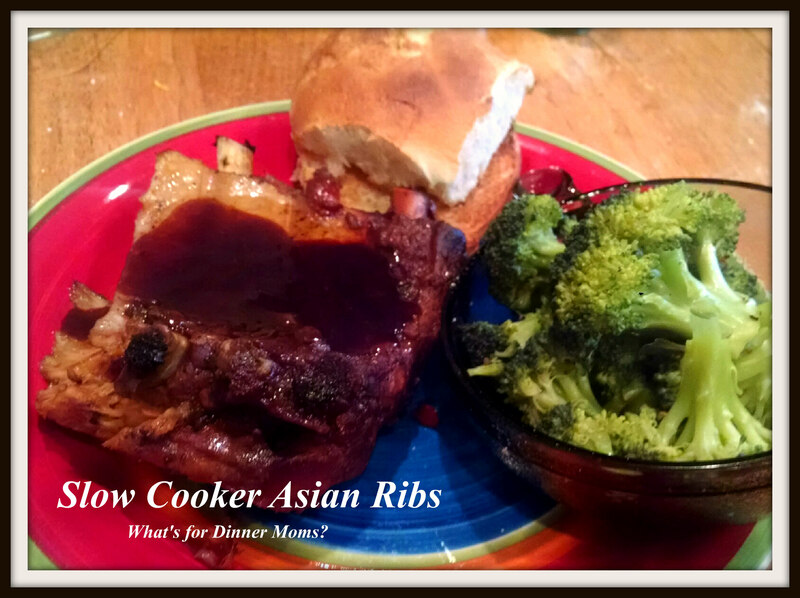 Slow Cooker Asian Ribs – What's for Dinner Moms? So, in fairness I did not take the pictures of dinner last night. My daughter and I never even got to taste them last night. Her dance recital is in 5 weeks and Feising (Irish dance competition) season starts this weekend so the class ran half-an-hour over. This will be typical for the next 2 months. Instead of getting home at 9:30 pm last night it was after 10:00 pm. Neither one of us wanted ribs that late. But, the rest of my family needed to eat and on Tuesday nights it is a slow cooker meal because they need to eat quickly between rehearsals and lessons. My family has asked me to stop cooking pork ribs in the slow cooker. They liked the flavors of the dish (my house smelled amazing even after they ate) but one does not care for pork and the other thinks pork ribs are too fatty. So, I will be cooking the in the oven or on the grill next time to cook off some of the fat. Also, I will be trying this sauce on chicken breasts next time. The sauce was good! But, they both ate them! Some steamed broccoli and a gluten-free roll made the meal a snap to get on the table. Salt and pepper both sides of the ribs before placing them in the bottom of the slow cooker. Mix sesame oil, ginger, garlic, brown sugar, chili sauce, soy sauce, rice wine vinegar, and honey in a bowl until well combined. Pour over ribs and cook on low for 6-7 hours. Be careful not to over cook so the ribs fall off the bones. Remove ribs from slow cooker when done. Strain sauce into a saucepan. Place pan Mix cornstarch and water in a small bowl until cornstarch has fully diluted. Pour into saucepan with sauce and cook over medium-high heat to thicken. Taste and adjust spices to your liking. 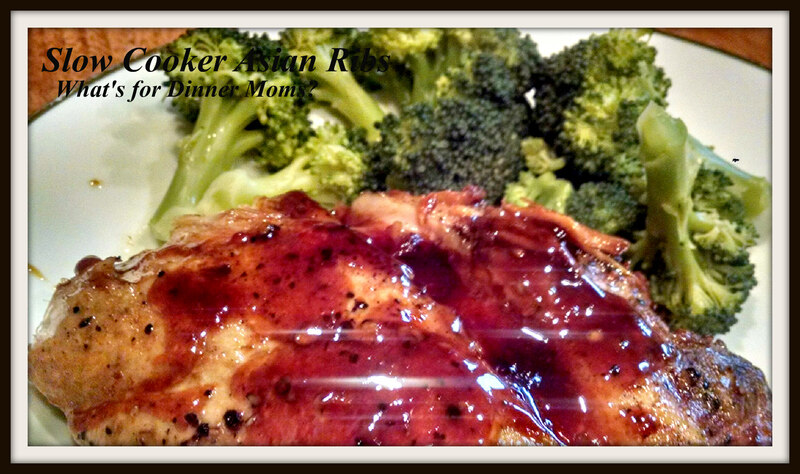 Brush sauce over ribs and serve garnished with green onions and sesame seeds if you like. It’s a busy time of year for you! Ribs look great! You are so busy Marci! !